We will arrive on time, where you need us, and with whatever we need to get the job done whether you drive makes like Land Rover or Toyota. Our friendly mechanics will keep you in the loop on any and all work, explaining throughout what they’re doing to keep your vehicle operating at optimum performance levels. In just the last three months our clients have left us over 44 positive reviews. We provide high quality service on the spot, cutting out the stress and inconvenience of attending mechanic workshops. 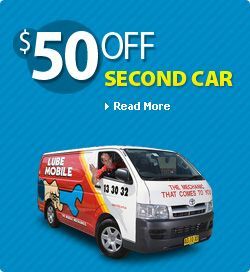 Book a mobile mechanic from Lubemobile and have your car conveniently serviced or repaired at the location of your choice by one of our one of our 12 mechanics in Gold Coast. The very definition of a mobile mechanic is a vehicle specialist who can do what you need, where you need it done. Our mechanics complete full car services at your preferred location with recent jobs completed on Holden, Toyota and Ford. Our professional mechanics are experienced and equipped for all vehicle types serviced on location. Have it all taken care of at the best place for you, not your mechanic. Suzuki, Renault and Citroen are all attended to on the spot. coil pack, engine mount and sway bar were with the mechanic when they needed them and quickly replaced or repaired on location. Lubemobile mechanics are available wherever you are like in Palm Beach. We attend to your vehicle wherever it is which includes anywhere from Paradise Point, Broadbeach and Labrador, and anywhere in between. We are Australia’s #1 mobile mechanic fleet attending to you when you need us. You can get your car serviced on holiday. Have the tyres replaced or rotated at work. 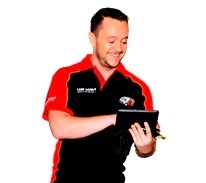 Our mechanics have serviced over 1,358 vehicles in your area over the past 3 months alone. Have a Log book servicing completed entirely on site at your home address. Or our mechanic specialists can travel fully equipped to wherever you specify to carry out work including cylinder head replacement and inspectiion engine mounts.